Patient care is the primary focus of Dr. Humble’s practice. Dr. Humble is Board Certified in Ophthalmology and has been in the practice of ophthalmology for over 35 years. He attended Louisiana State University (LSU) in Baton Rouge, Louisiana, and completed his medical training at LSU School of Medicine in New Orleans, LA. His post graduate training was completed with an internship and residency at LSU Hospital in Shreveport, LA. Dr. Humble has traveled the world to teach surgical procedures and bring the newest medical advances home. Whether it’s the latest technology or ways to keep patients more comfortable, his unwavering focus is to constantly improve the quality of patient care. A true visionary, Dr. Humble embraces the most advanced techniques and treatments. He was the first in Northeast Louisiana to perform LASIK to correct refractive disorders. His professional services include comprehensive eye exams and treatment for diseases of the eye including cataracts, glaucoma, diabetes, and dry eyes. 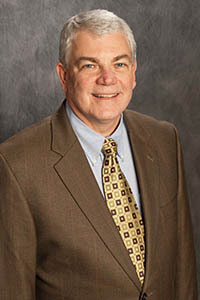 He also serves as one of the leading investigators in clinical trials ongoing at Eye Associates of Northeast Louisiana. Dr. Humble is a Northeast Louisiana native who has dedicated his career to providing his neighbors and friends with quality medical eye care. His patients always describe him as “caring and concerned.” A devoted family man, he has also traveled to some of the poorest areas in the world as a medical missionary to help those in need.